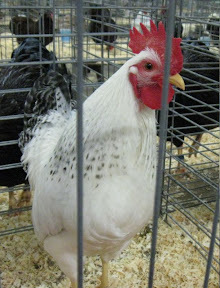 We went to a poultry show today! Here are a few of the millions of pictures I took! This Call duck was adorable! 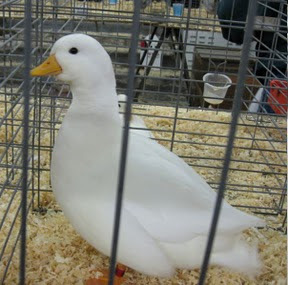 A true Ameraucana (bantam)! She was very interested and alert. Lovely to see. 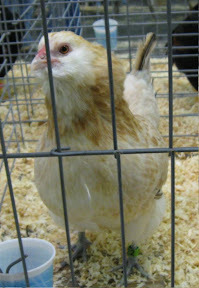 I just loved this Delaware bantam! I have plenty of pictures left to post but resizing takes time and not resizing takes space so you’ll have to be patient. This entry was posted in chickens, ducks. Bookmark the permalink. 2 Responses to Poultry show! These pictures are beautiful! And it’s quite interesting to see a true Ameraucana, since I’m just familiar with Easter Eggers (who are often called Ameraucanas but aren’t … is that right?). Thank you! I love taking pictures!